The Quebec government is calling on Russian authorities to release the Greenpeace activists. Jean-François Lisée last night attended a of the group of 30 people, two of whom are Canadians. He said the charges the group is facing are disproportionate to their supposed crime. Two journalists are among the group of people who were arrested. Canadians Alexandre Paul, of Montreal, and Paul Ruzycki, of Port Colborne, Ont., were also swept up by the Russian coast guard and imprisoned in Murmansk, in northwestern Russia. On Sept. 18, two members of the group aboard Greenpeace’s Arctic Sunrise ship tried to scale the offshore Prirazlomnaya oil platform in the Pechora Sea. The platform is owned by Gazprom, a Russian state-controlled energy company. “As Minister of International Affairs, I’m concerned when there is a Quebec resident who is in prison. He’s been in prison for two weeks in Murmansk and is facing accusations that could carry a 15-year sentence for piracy,” Lisée said. He pointed out that Russian President Vladimir Putin himself said the activists were not pirates. Putin, speaking at a forum on Arctic affairs in September, was quoted by the Interfax news agency as saying: "I don&apos;t know the details of what went on, but it&apos;s completely obvious they aren&apos;t pirates." The prisoners have spent two weeks in jail so far, a crime that carries a possible 15-year sentence. Lisée said two weeks in a Russian prison was punishment enough for trying to affix a sign to the oil platform, even if it was illegal. “It’s obviously exaggerated,” he said. 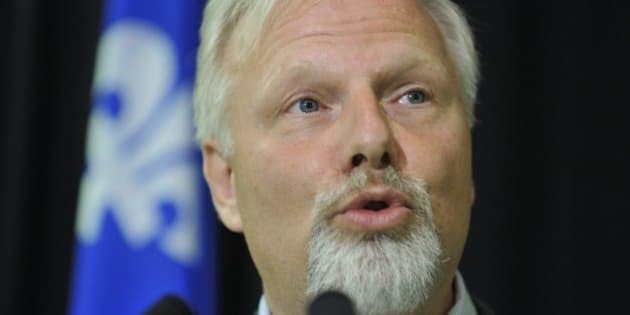 He said the Quebec government has a small office in Moscow, and employees there and at home are working with the Canadian and Russian governments to try to coordinate the release of Paul and Ruzycki.